SQLCMD is a great tool. 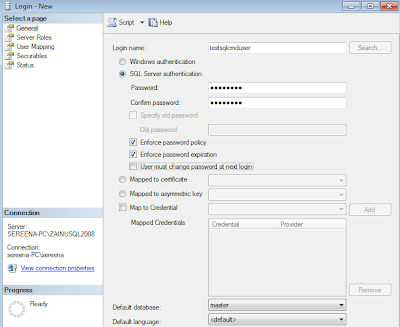 We have certain scripts that uses sqlcmd .The best way to connect to SQL Server database using sqlcmd would be to use Windows Authentication (i.e. ; with –E switch).Unfortunately Windows Authentication won’t work everywhere in enterprise when you have distributed databases running in different domain and under different RDBMS.So we had to use SQL Server Authentication and the username and password were hardcoded with sqlcmd. One of the concern security team had was the username and password are hardcoded in the bat file which execute sqlcmd script and that should be avoided. Application normally saves their setting in registry and then gets the information from there. 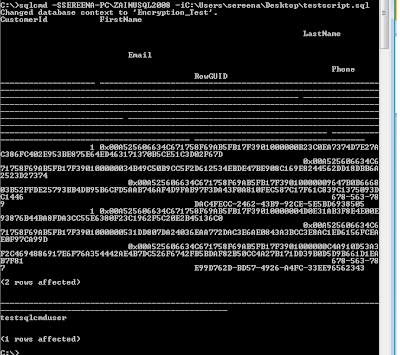 We were also looking for a way on how to do this with SQLCMD. If more than one type of variable has the same name, the variable with the highest precedence is used. SQLCMD gives variables which can be defined like SQLCMDUSER, SQLCMDPASSWORD, SQLCMDINI etc. 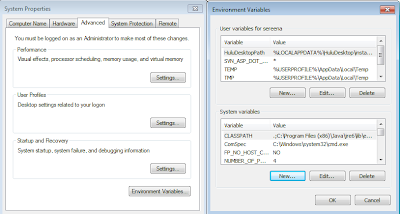 The msdn article has complete list of variables which can be set in environmental variables. Lets verify the username which sqlcmd uses to connect.The function SUSER_NAME() will return current user. 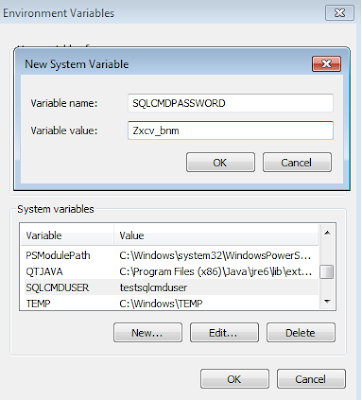 So SQLCMD has used windows authentication and an inbuilt user account to connect to SQL Instance. 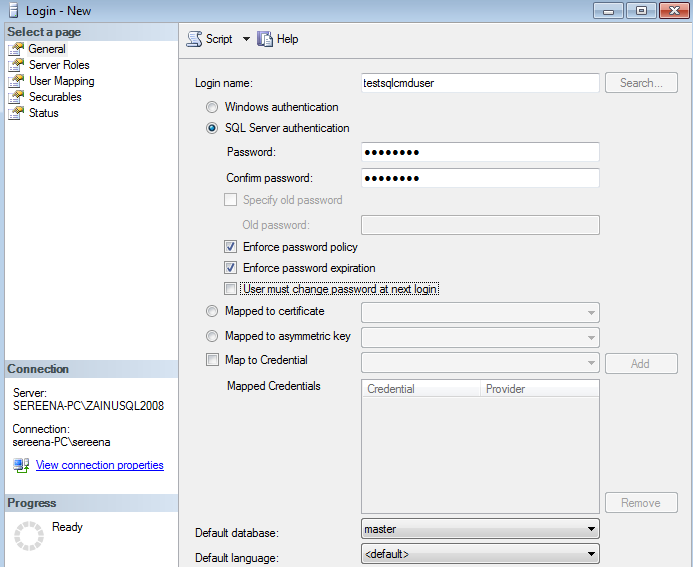 Now lets create a sql authenticated id "testsqlcmduser" in SQL Server instance. Please note I have selected to enforce password policy though its not needed but still its a good practice to enforce password policy in sql authenticated id. 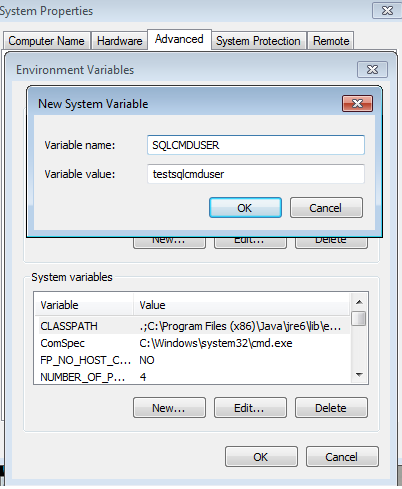 Now lets add this user and its password in system environmental variable. 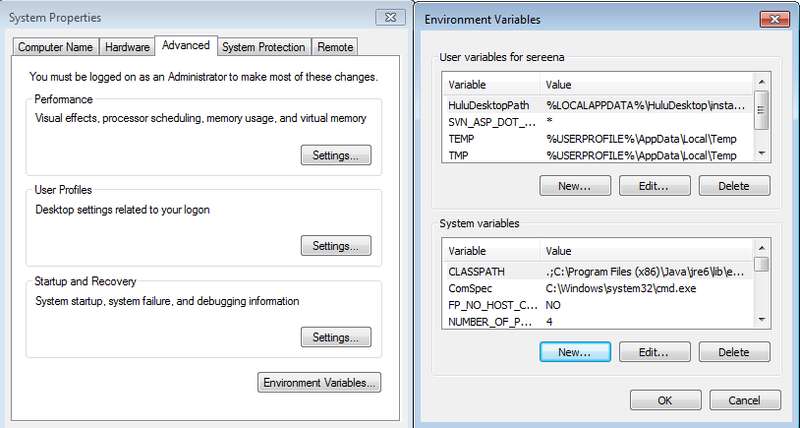 Click on OK and Apply button.The environmental variables ar all set.Now lets use it with SQLCMD. Go to command prompt and type sqlcmd and give the SQL Instance Name. 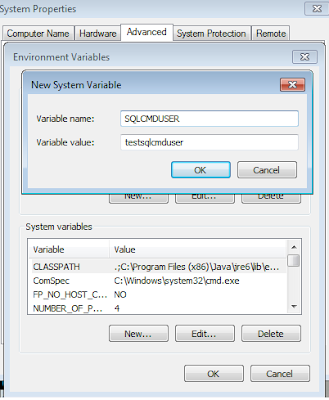 It has used testsqlcmduser which is the sql authenticated id.How did it worked.We have not even passed the userid and password.Now when you miss -U and -P option sqlcmd checks the system and user profile variable to see if any of the sqlcmd variables are set.If so it uses that to connect to SQL instance.If there are none then it uses windows authentiction to connect to SQL Server instance. Basically it connect to a database Encryption_Test in my local sql instance which was created to test encryption in SQL Server 2008.The script then executes a select command on a table in that database which has some of the encrypted data.The last line returns the current connected user. Please note we have not specified username or password.So we are hiding the details which are needed to connect to SQL Server instance.Even we can hide the SQL instance name by adding the value in variable SQLCMDSERVER.